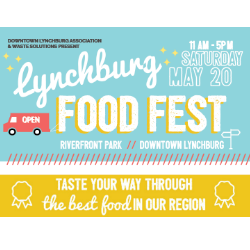 Give back to your local community by shopping at the small businesses and retailers that keep the Lynchburg economy thriving. Are you new to the area? We know how stressful it can be to get acclimated to a new city. Want to get in on the area’s most popular race? Register for the Virginia 10 Miler on Saturday, September 28th!